The spectacular boxing of Stanislav Kutin you can enjoy on 3rd Nov. in Germany. PSP Boxing is arranging a fight with Kutin at the event in Cloppenburg. This boxer is a great fighter, so enjoy his fight vs Dusan Veletic. PSP has a program with 10 professional bouts. 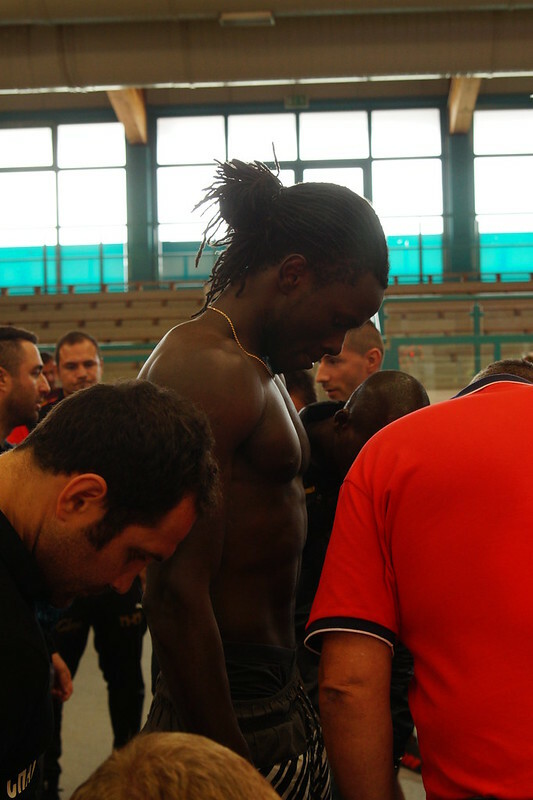 Main bouts will be with Edi Kadrija vs Hamza Wandera and Kambis Rahmani vs Ibrahim Odobasic. The Swedish boxer Tijan Kebbeh alias The Black Cobra has arrived with his coach Iman to Hamburg. On Saturday will Tijan fight his 3rd professional fight at PSP Boxing Promotions event in Wismar. His opponent this time is Cedo Pantic, Serbia, . In the corner of The Black Cobra will coach Khoren Gevor take care of him. The sponsor G-Sound, Gothenburg, supports Tijan Kebbeh. At Mehrzweckhalle Dorf Mecklenburg will the main bouts be title fights with Jens Tietze and Niels Schmidt. David Wilken, Wismar, is even boxing. Nico Chatschatrian, Hamburg, will do his 7th pro fight. From PSP Boxing will Edi Kadrija and Kambis Rahmani, both Cloppenburg, fight as well. Totally 9 bouts it will be in the boxing hall of Dorf Mecklenburg, the hall were famous amateur boxing of Wismar is at home. The Black Cobra, Tijan Kebbeh, will be fighting on the boxing event of PSP Boxing Promotion in Wismar at 08.09.2018. Tijan is returning to Germany to fight again. The fight night at the boxing hall in Dorf Mecklenburg will show boxing of professionals and amateurs. The local fighters Jens Tietze, Niels Schmidt and David Wilken will be boxing about title fights. Further boxers fighting at PSP event in Wismar will be Edi Kadrija and Kambis Rahmani. Tijan Kebbeh, The Black Cobra, is entering the ring in Gothenburg on 20. October 2017. His oppoent will be Stefan Schallengruber and the bout will be of 4 rounds in light heavyweight. Omar Abdul Majid from Helsingborg is getting his first pro fight vs Tsotne Sultanishvili, Georgia. Omar is well-known as a Swedish Amateur Champ. The Swedish heavyweight fighters David Loy and Aldo Colliander will rock the show of New Sweden Boxing Promotions. The Swedish boxer Tijan Kebbeh, even known as The Black Cobra, is back in Hamburg, Germany. Tijan is doing a training camp at Hammer Gym with coach Khoren Gevor. At the event of Boxen im Norden at 2nd April 2017 The Black Cobra wil fight against Yunus Özcan from Berlin. This time will Tijan be well prepared for his second pro-fight of his career. Coach Khoren Gevor is convinced that Kebbeh will do a good fight. The fight card of the event is looking real good.